Two years ago, Palestinian terrorists broke into the Fogel family home, in the small Israeli community of Itamar. 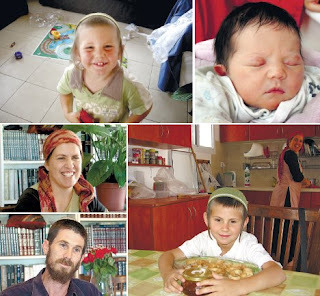 They brutally murdered Ruth and Udi Fogel, and three of their children. The IDF and the Israel Security Agency brought the terrorists to justice. Today, we honor the memory of the Fogel family.